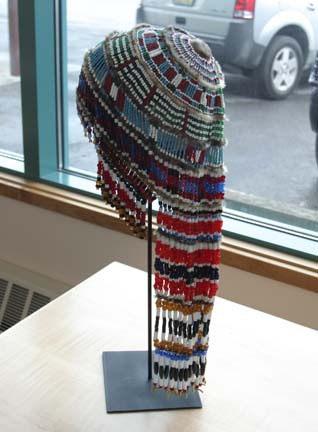 Photo: Alutiiq Headdress from the Cordova, Alaska area. The Eyak Corporation was formed in 1973 as a for-profit corporation under Alaska law pursuant to the Alaska Native Claims Settlement Act (ANCSA) enacted by Congress on December 18, 1971. ANCSA authorized the formation of twelve regional corporations in the State of Alaska as well as a number of village corporations within each region. Eyak is the village corporation for Cordova and is one of five village corporations located within the Chugach region. The original act did not include reference for the Native village in the Cordova area. 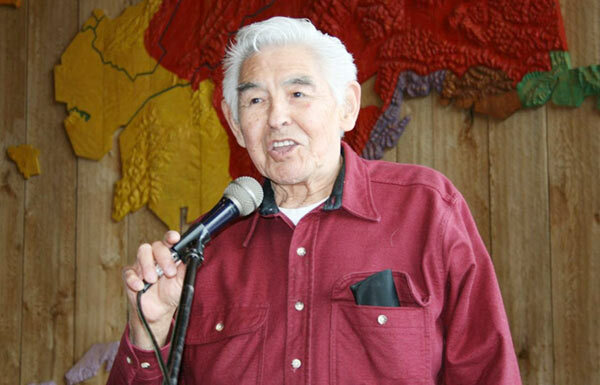 Cecil Barnes was the Native leader who pushed the petition and enrollment drive that resulted in the formation of the Eyak Corporation. Eyak was incorporated in 1973 representing 326 original shareholders. The majority of which were of Aleut descent. Eyak was so named at the suggestion of Cecil Barnes to honor the area's Eyak Natives who had as a group been decimated by disease and poverty as a result of the development of Cordova by peoples of European descent. The Eyak Corporation's Mission is to return financial benefits to present and future shareholders through the development of economic opportunities and growth of our assets while protecting the ownership of our ANCSA lands and Native cultural heritage. The Eyak Corporation was formed July 25, 1973 as a for-profit corporation under Alaska law pursuant to the Alaska Native Claims Settlement Act (ANCSA) enacted by Congress on December 18, 1971. ANCSA authorized the formation of twelve regional corporations in the State of Alaska as well as a number of village corporations within each region. Eyak is the village corporation for Cordova and is one of five village corporations located within the Chugach region. The original act did not include reference for the Native village in the Cordova area. Cecil Barnes was the Native leader who pushed the petition and enrollment drive that resulted in the formation of The Eyak Corporation. Eyak was incorporated in 1973 representing 326 original shareholders, the majority of which were Aleut descent. Eyak was so named at the suggestion of Cecil Barnes to honor the area's Eyak Natives who had as a group been decimated by disease and poverty as a result of the development of Cordova by peoples of European descent. As of November 8, 2016, The Eyak Corporation has 517 shareholders. Photo: Elder Henry Makarka speaking to the Shareholders.